Download free, simple, clear, elegant and very useful wall, desktop, pocket, wallet calendars for the years 2015, 2016 and 2017 as ready-to-print PDF or black and white or other colorful images. 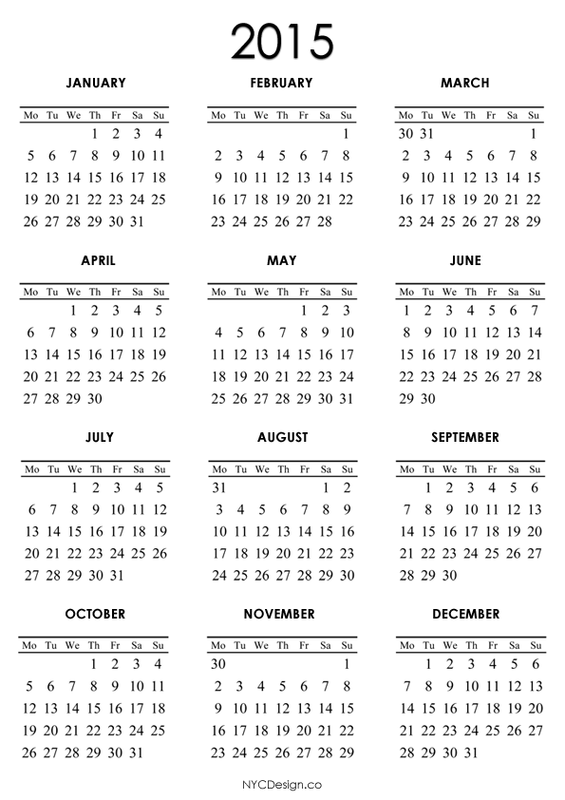 These calendars will easily print on a single standard printer paper page. Calendar templates starts with Monday. Big selection of different designs and formats. Calendars for past years are also available.